Dr. Dadachova is currently the Sylvia and Robert Olnick Faculty Scholar in Cancer Research and an associate professor of nuclear medicine and microbiology and immunology at the Albert Einstein College of Medicine of Yeshiva University. She received her Bachelor of Chemistry degree in 1986 from Moscow State University, Moscow, Russia. After obtaining her PhD in physical chemistry in 1992 from the same institution she emigrated to Australia where in 1993 she started postdoctoral work at the biomedicine and health program, Australian Nuclear Science and Technology Organization (ANSTO). Dr. Dadachova was given a task to develop a separation procedure for production of radioactive isotopes for medical applications. In 1995 she was invited as a guest scholar to Oak Ridge National Laboratory (ORNL), TN where she worked for 6 months at the production of isotopes in nuclear reactor and at making radioactive antibodies for cancer treatment. On return to ANSTO from ORNL she was promoted to research scientist position. In 1998 Dr. Dadachova was invited by Dr. Martin Brechbiel, of the National Cancer Institute, NIH to join his radioimmune and inorganic chemistry section as a visiting associate. During her 2 years at NIH she participated in all aspects of pre-clinical development and evaluation of radioactive drugs from chemistry to experimental therapy and toxicity studies. In 2000 Dr. Dadachova was recruited by the department of nuclear medicine, AECOM as assistant professor of nuclear medicine and director of radiochemistry. She has developed an active research program in novel therapies of cancer and infectious diseases using radioactive drugs. 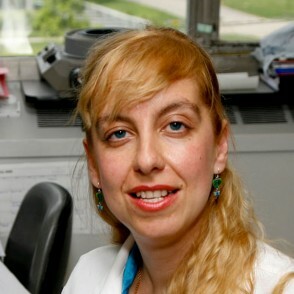 To date, Dr. Dadachova has published 91 peer-reviewed papers and is named inventor on 12 patents. Ongoing research projects in her laboratory are funded by NIH, research foundations and industry grants. She currently serves on the editorial boards of “Nuclear Medicine and Biology” and “Cancer Biotherapy and Radiopharmaceuticals” journals.